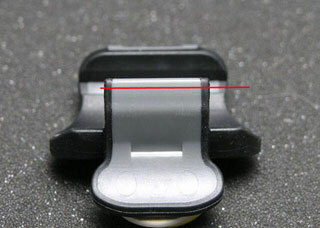 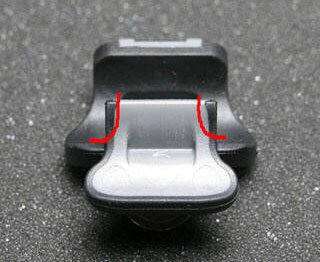 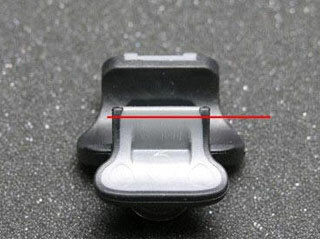 The red line indicates the possible place for cutting away the Thumbport. 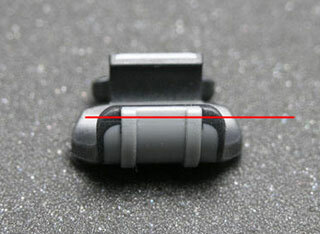 One can cut away about 1 mm without affecting the clamping ability. 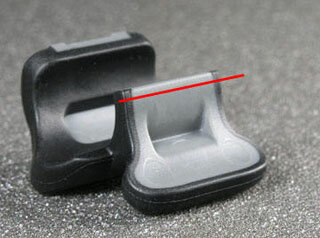 Please note: ABA Music, Inc. cannot be responsible for failures in result of over-cutting. 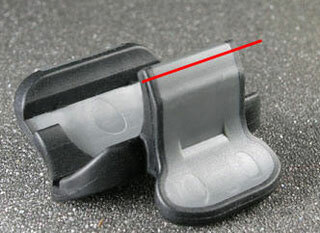 If necessary, the front end or back end, but not both, of the piccolo Thumbport can be reduced by 1 mm.